This morning, a post on my Facebook page requested I send a holiday card to a recovering soldier at Walter Reed Hospital. I have come to find out that this is a hoax. Walter Reed Army Medical Center closed last August and even when they were open, it was their security policy not to accept mail unless addressed to a soldier by name. Most people reading this blog will be sending cards and packages their loved ones far away. This year, if every one of us added a serviceman or their family to our list, imagine what a difference it would make. 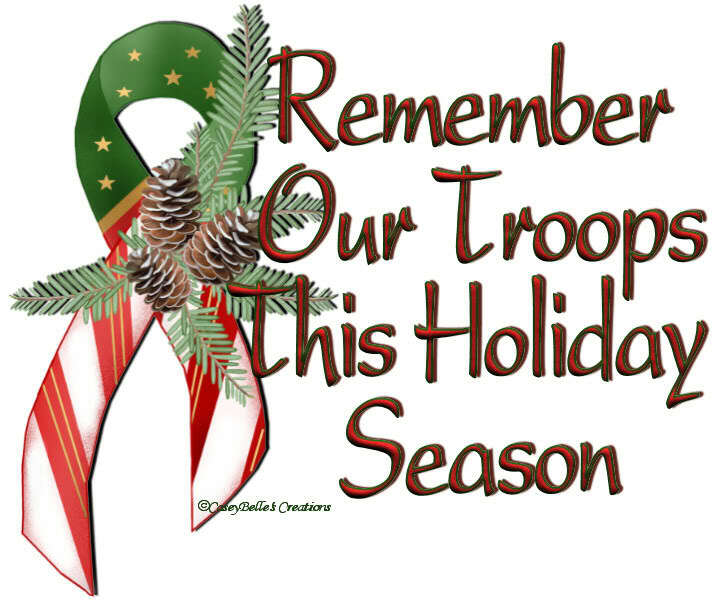 For many military families and wounded warriors here at home, the holidays are a difficult time. Just making ends meet is difficult. If you go to Operation Homefront you can find many ways to help make Christmas a bit easier for them. make and send a care package of your own. This site provides all the information for what soldiers need most and how to get it to them. There are only 3 more weeks until Christmas so you will need to act fast. 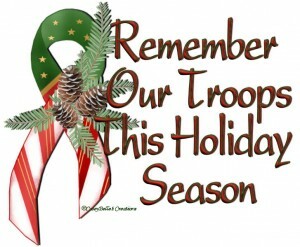 If you read this, please by Santa Claus to a soldier or their family and do what you can to help.